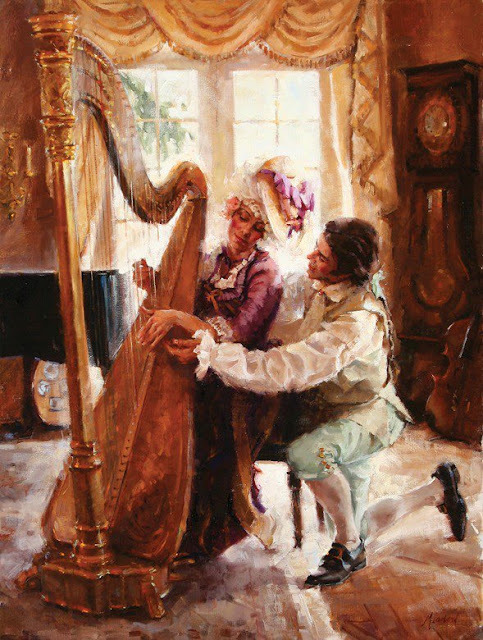 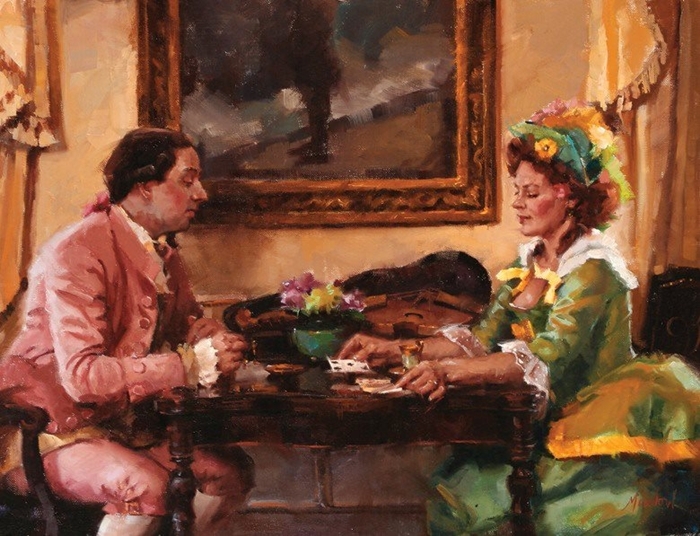 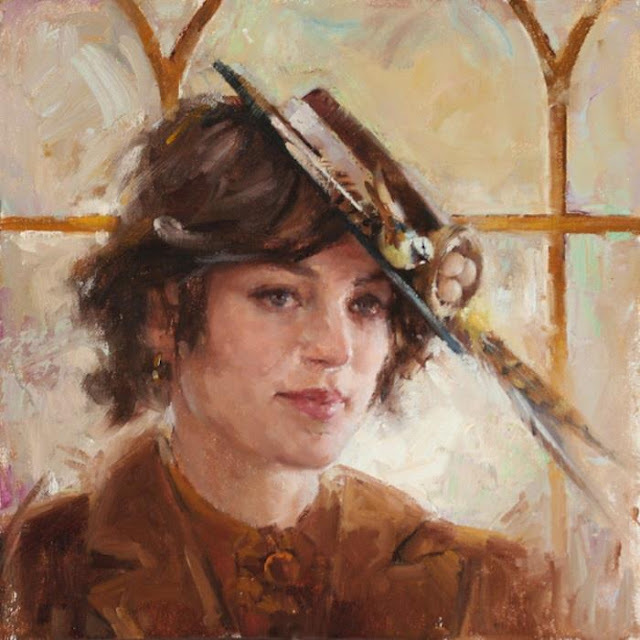 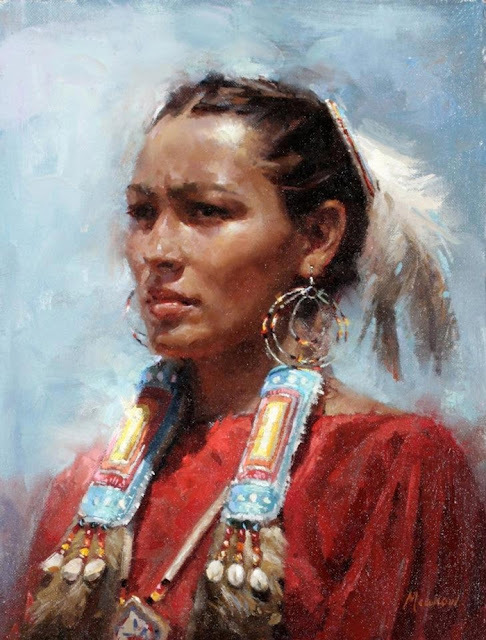 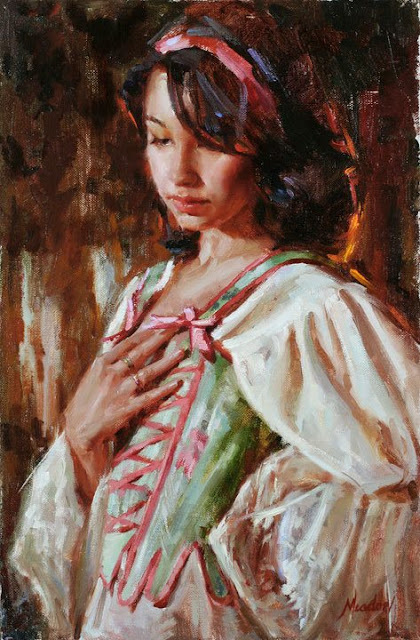 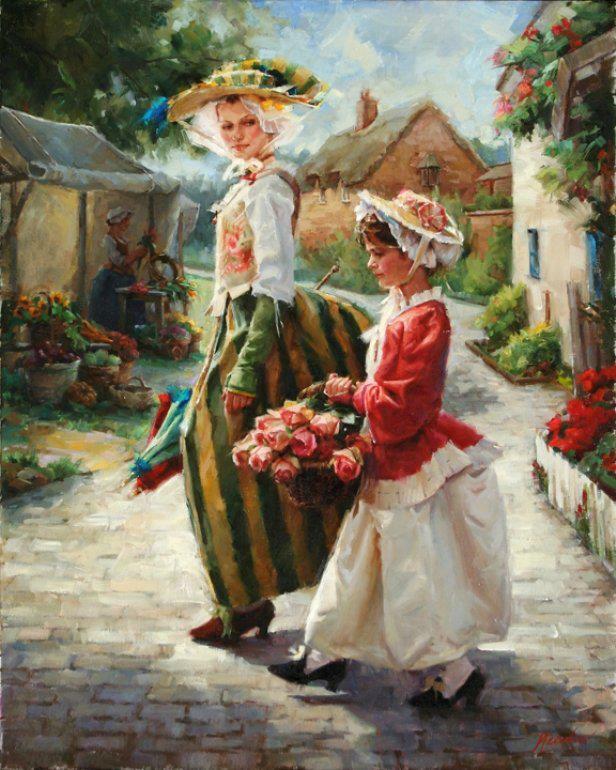 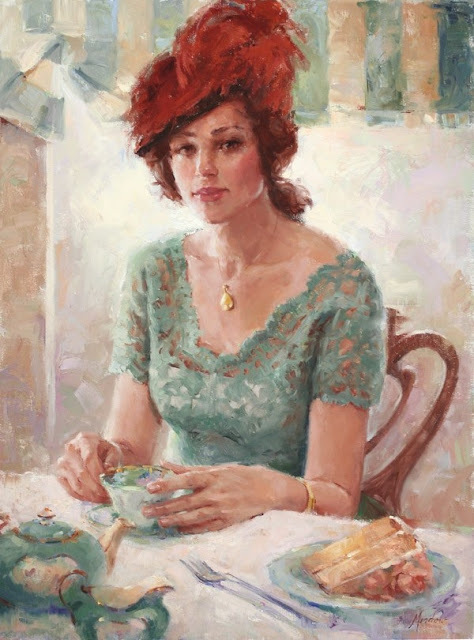 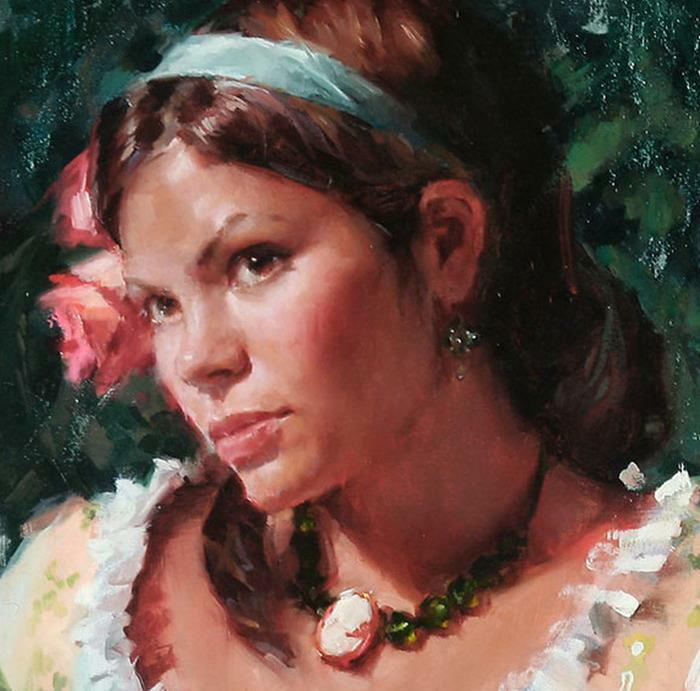 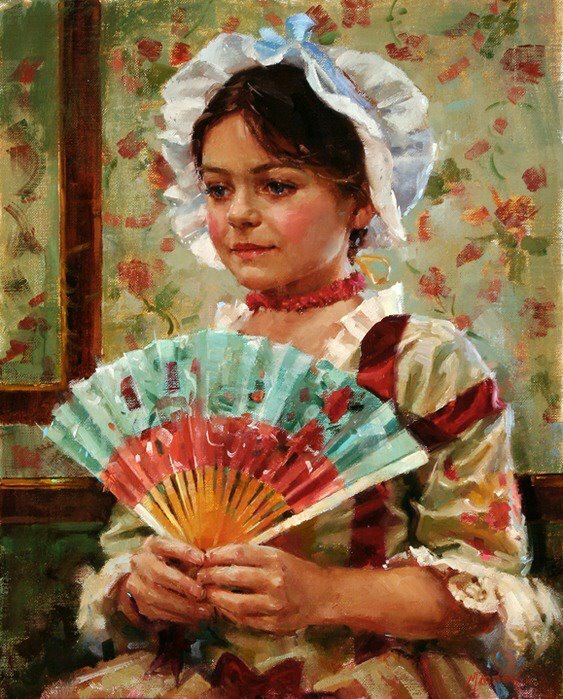 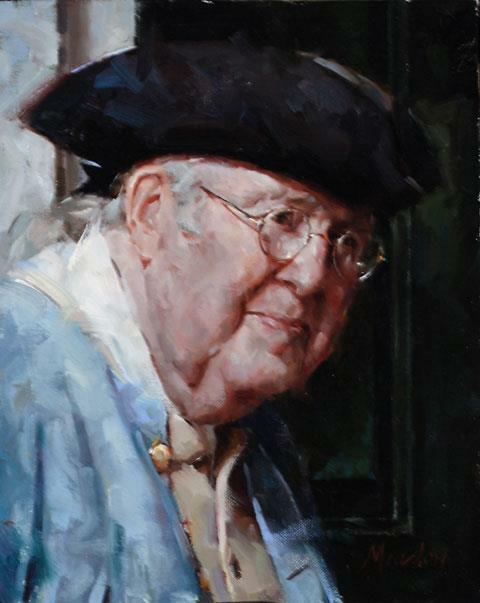 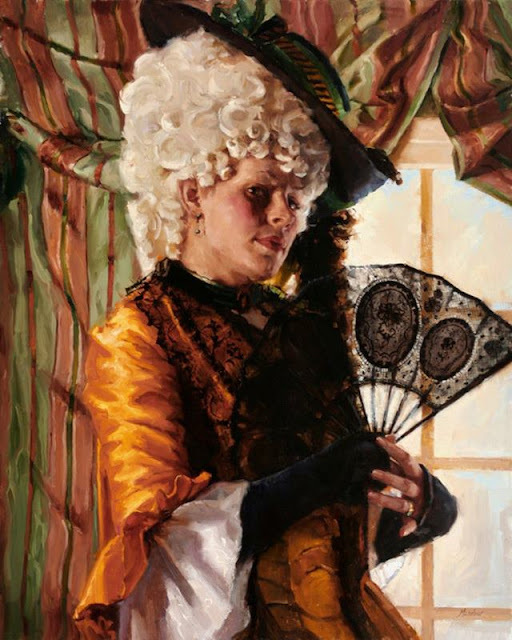 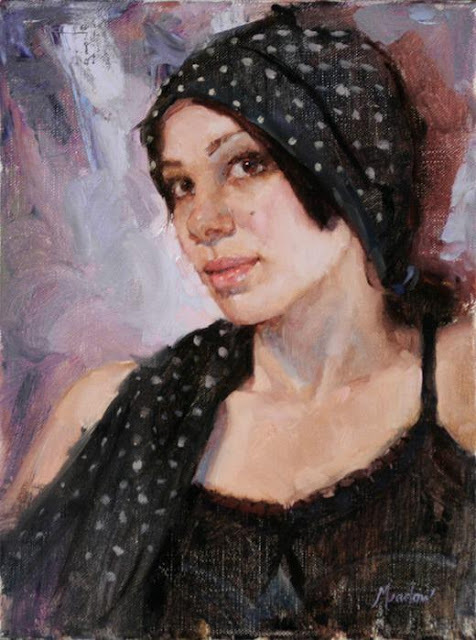 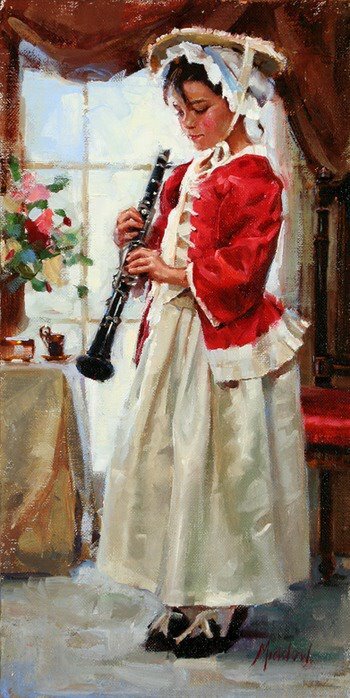 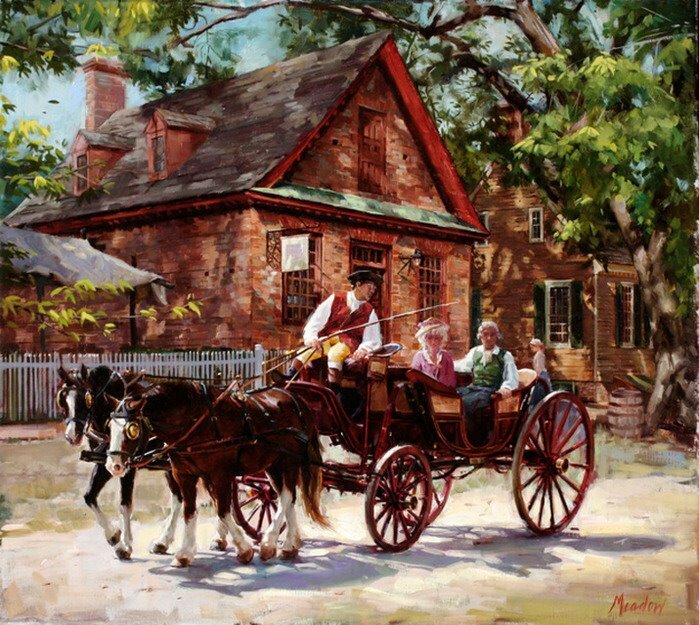 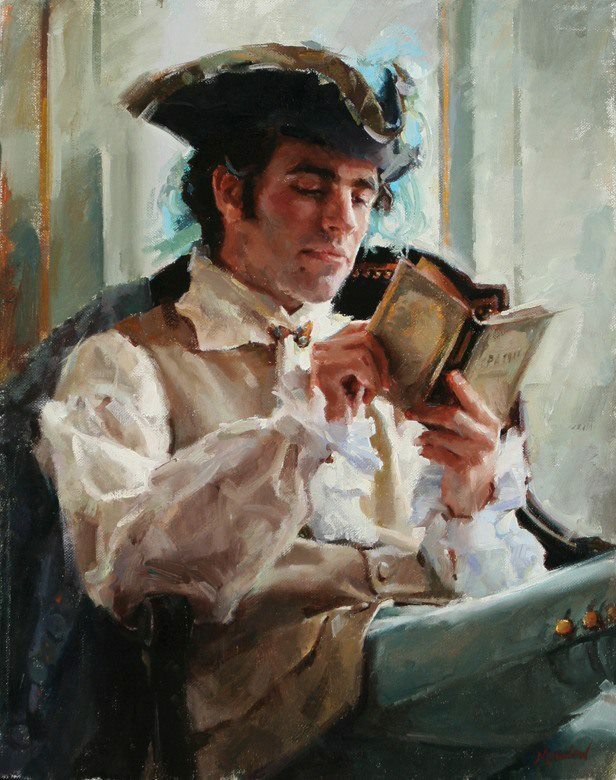 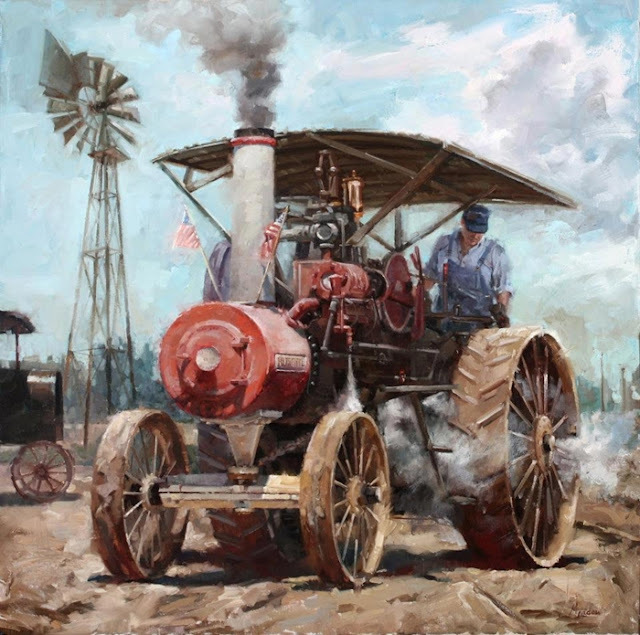 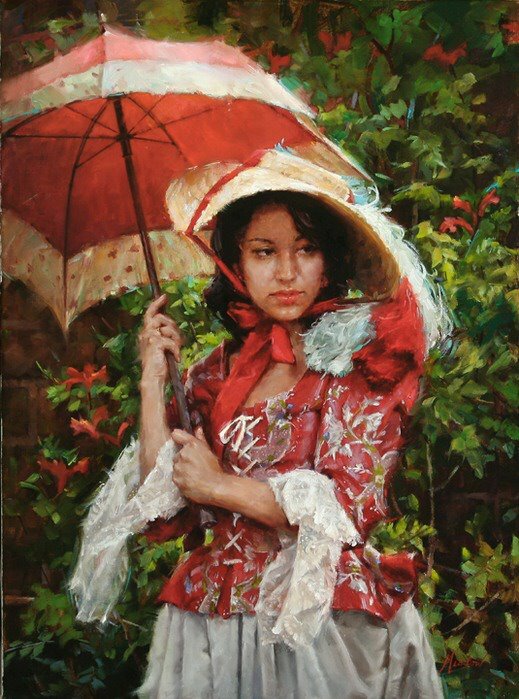 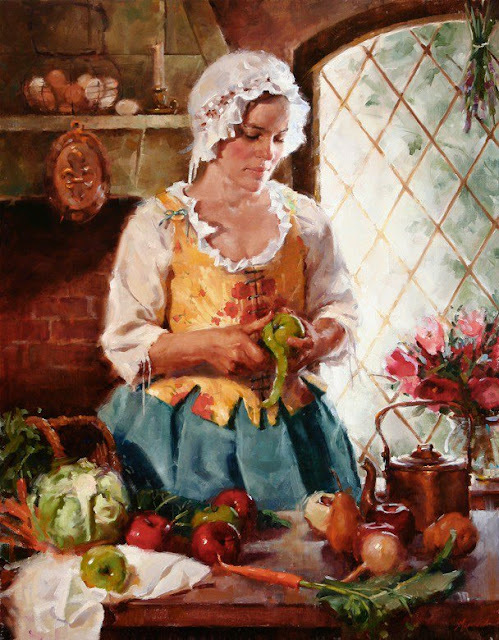 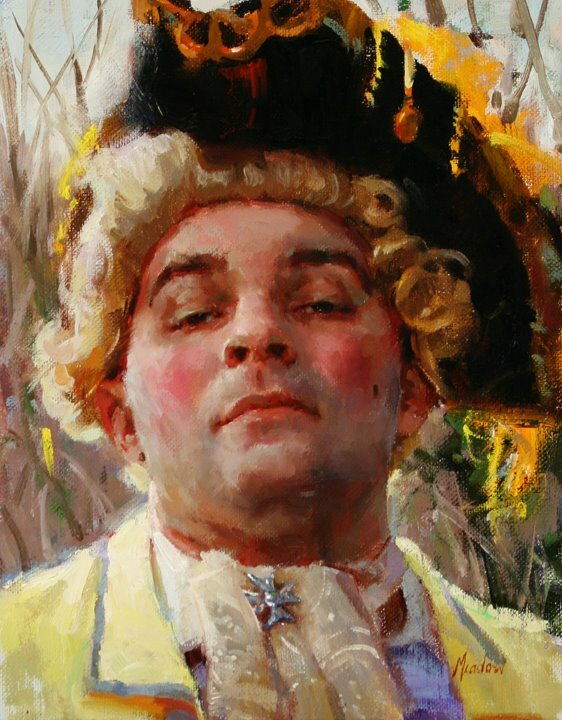 Meadow Gist is a young American painter and is a member of both the California Art Club and Oil Painters of America. 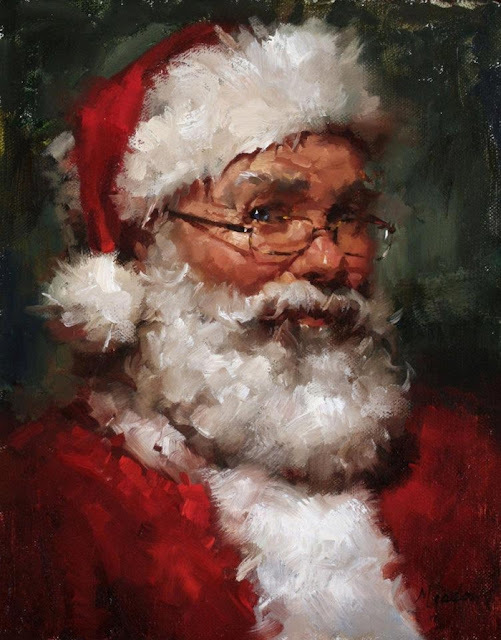 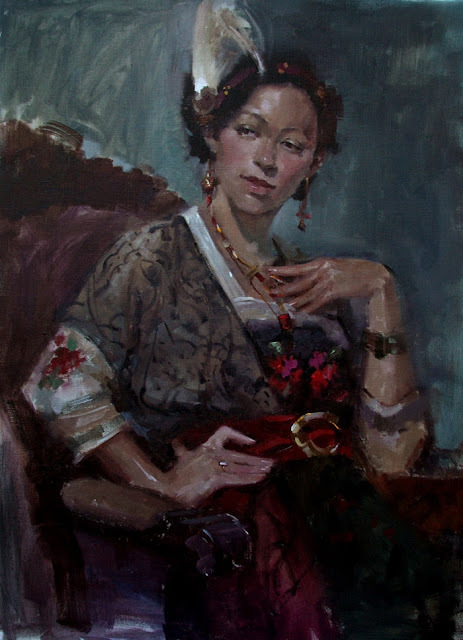 Gist has studied at Watts Atelier for the past six years, and has taught there for the last three. 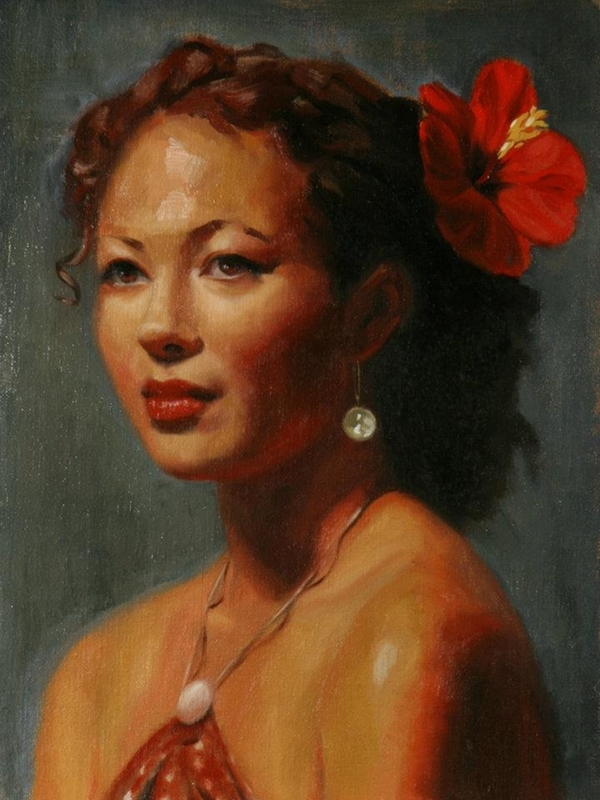 She began her art career in the corporate field painting displays and murals for a major retail chain. 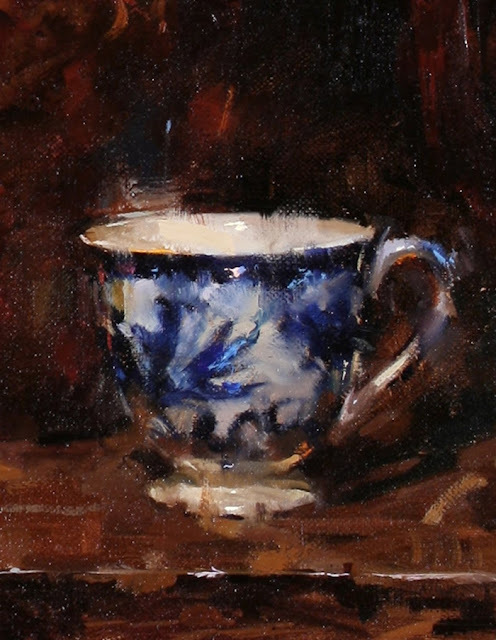 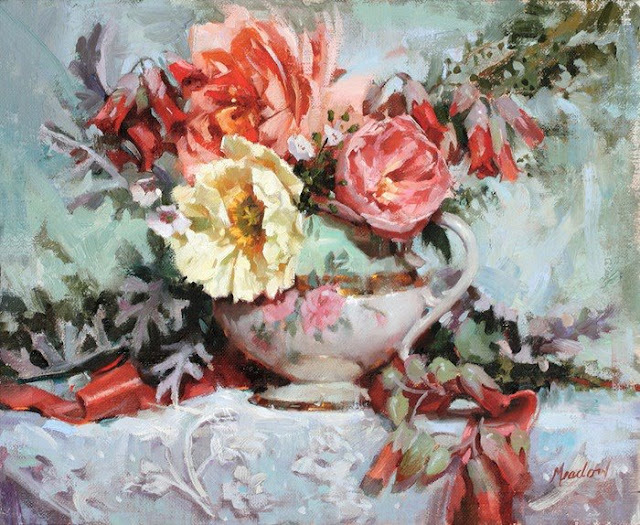 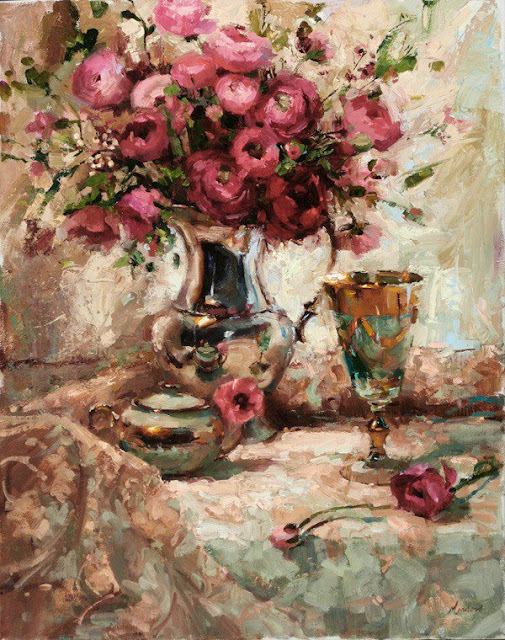 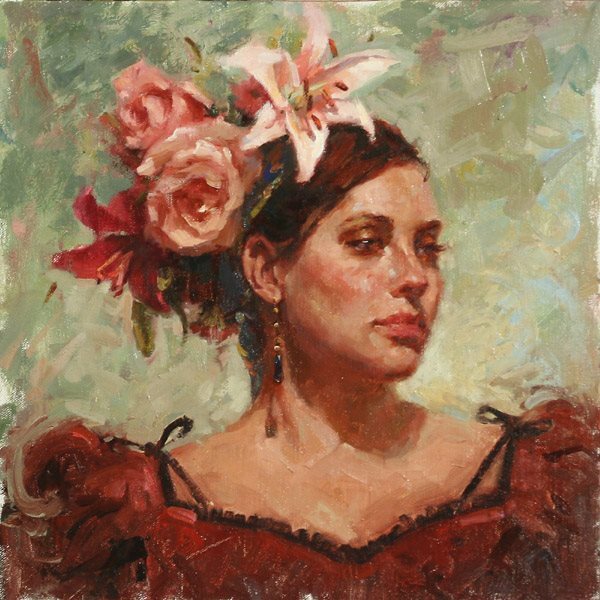 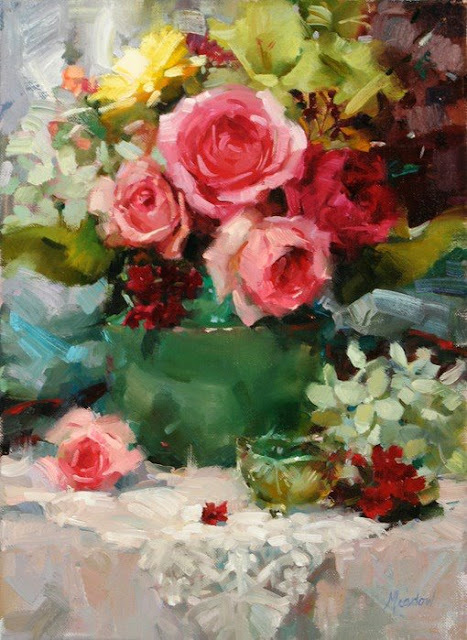 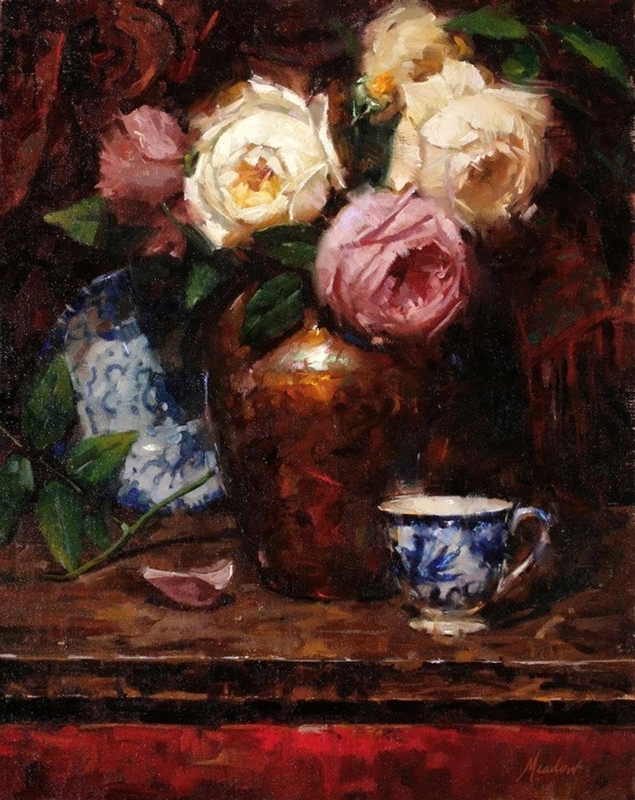 Her work has been exhibited as a finalist in the International Artist Magazine's still life’s and floral Competition 2006 and as a "Top 50" selection at Salon International 2007. 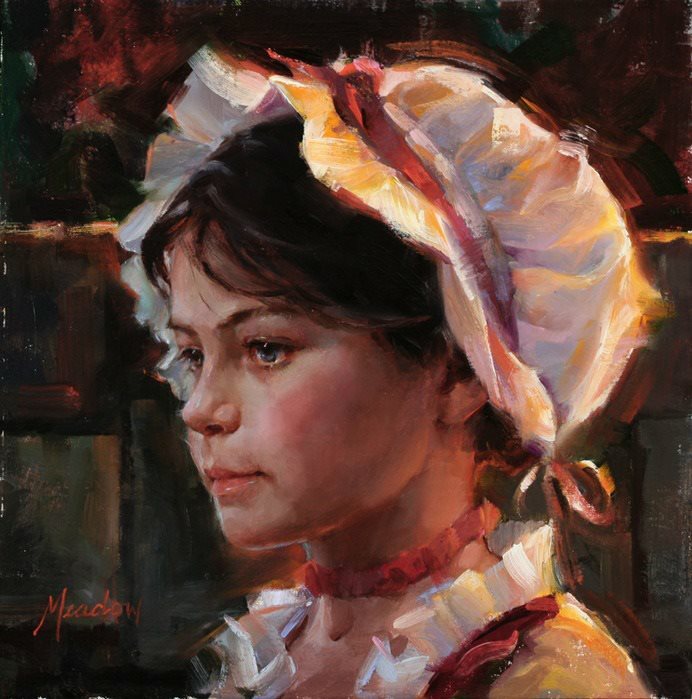 Nature's colors have inspired Meadow from an early age. It was her love of nature and the hope of capturing the beauty around her that originally attracted Meadow to art. 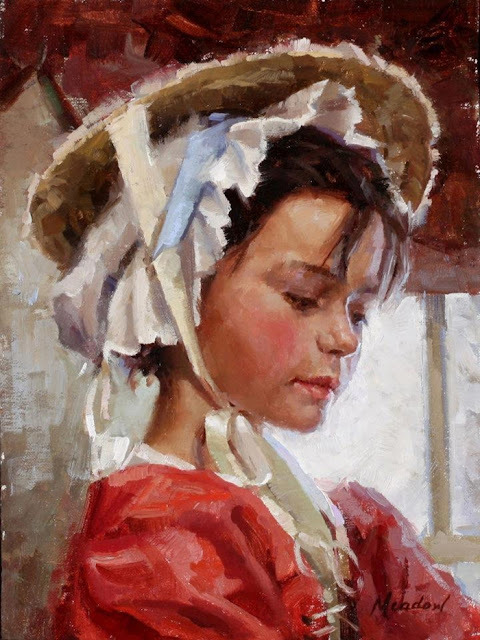 The artistic efforts of a young girl revealed an intensity and vibrancy that remain in her work today. 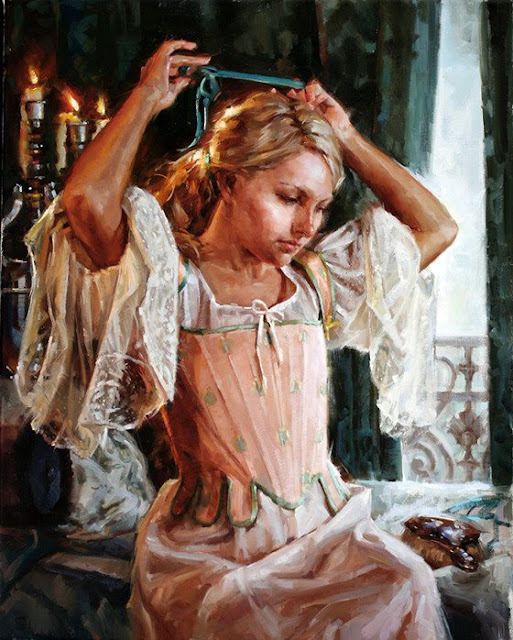 Her first years of art education proved a frustrating experience due to a lack of formal training. 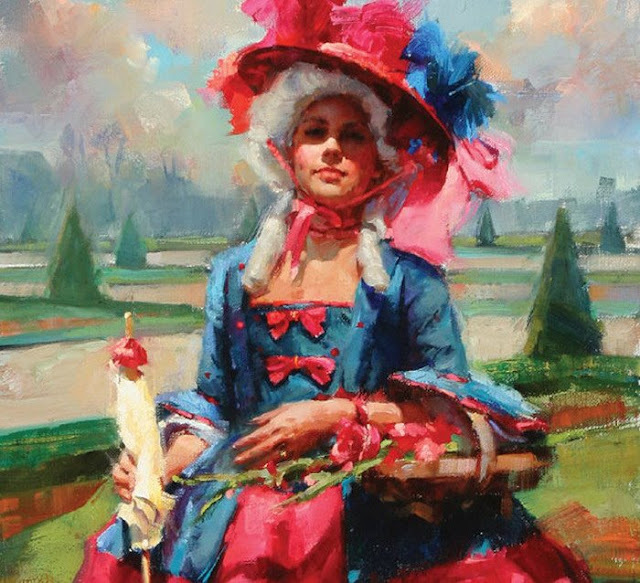 Meadow then sought out Jeff Watts at Watts Atelier of the Arts. 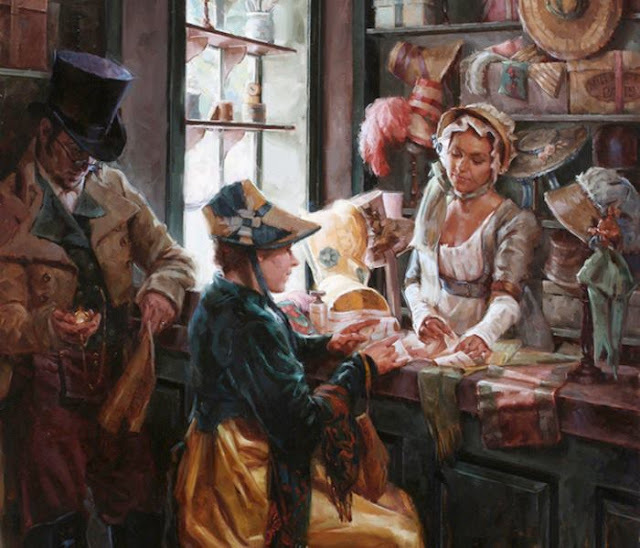 "My current work in the Colonial Era requires research into period-appropriate attire and environments. 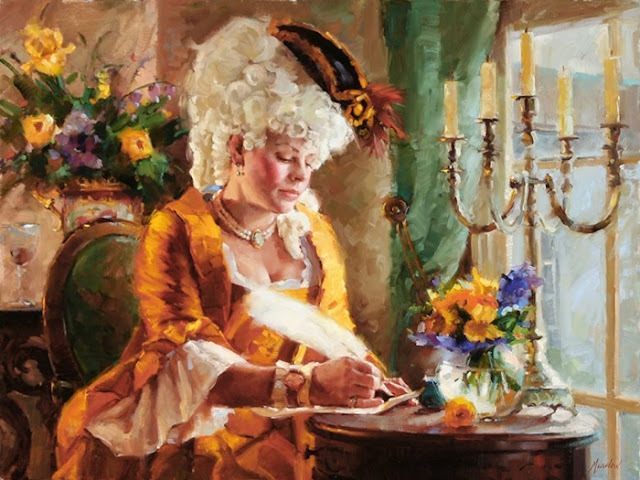 I use authentic materials such as silk, linen, and wool. 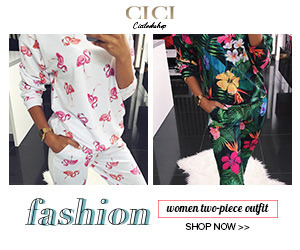 The creation of custom dresses and suits is an art of itself. I think of a time when everything was created by hand, and a reflection of both wearer and creator". 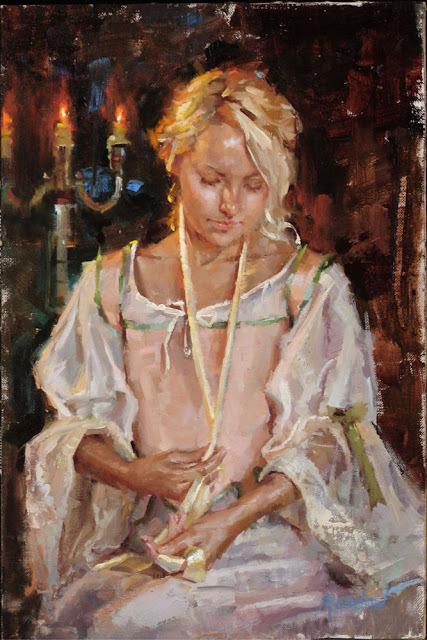 Meadow - Art Instructor is represented by Willow Gallery in Scottsdale, Arizona.